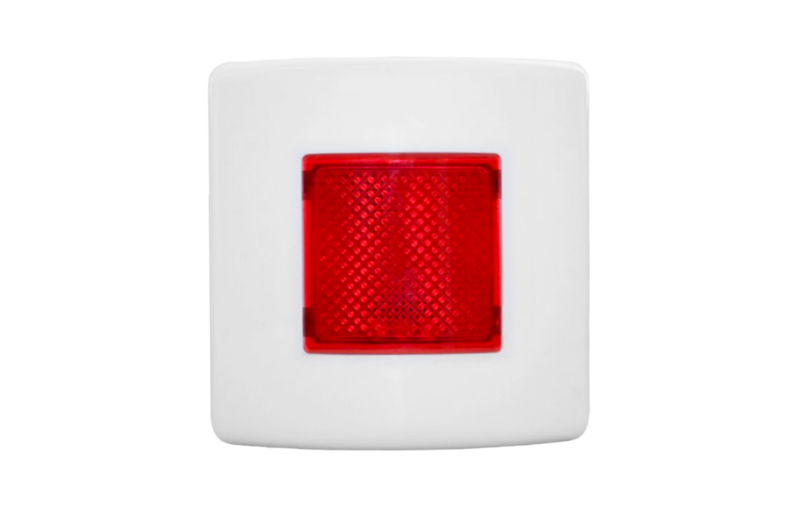 The FI100 remote indicator unit is designed for fire detection systems requiring local indication of an individual or a group of fire detectors in alarm utilising a LED having a wide area of illumination and an high on / off contrast. The FI100 is a LED optical repeater, for both conventional and analogue fire detectors, that eliminates the necessity to install two types of devices. It combines small dimensions, high efficiency and low power consumption. The FI100 is controlled and powered directly by the detector.